Einige optische Mängel (siehe Fotos). Der rote Power-Schalter ist ganz neu, wurde erst kürzlich eingebaut (Originalteil aus England). Das Lochblech für die rückseitige Abdeckung ist nicht original, aber neu und besser als nichts. Verzapftes Gehäuse mit optimalem Resonanzverhalten. Damit die Box einfach transportiert werden legen ist noch einen Satz gebrauchter Original-Marschall Rollen dazu. Marshall 4x12 JCM 900 Lead 1960 LEER-Box in schräger Ausführung. Marshall JCM900 Combo 5881 100w HI GAIN DUAL REVERB questo amplificatore e stato sempre tenuto in casa é in perfette condizioni. Conosciuto per il suo suono magnifico, la versatilità della JCM900 ha raggiunto il cuore di molti fan. TESTATA 100W ALL TUBE (TOLEX BIANCO). Produttore :Marshall. Testata 100W; all tube. Siamo certi che riusciremo ad accontentarti! Tubes in very good conditions. Good overral conditions, perfectly working. Rare tube amp from 90s. Non presenta particolari segni di usura. Tête d'ampli guitare Marshall JCM 900 d'occasion en bon état. 2 sorties ligne : 1 Direct / 1 Compensated. Boucle d'effet avec réglage du niveau (-10dB / 4dB). 2 sorties HP (4/8/16 Ohms). 1 réglage Reverb par canal. Power section: 2 x JJ EL34. Les tubes de préamplification de ce kit sont étiquetés V1, V2, V3, etc. In this kit, preamp tubes are annoted V1, V2, V3, ect. considering their suitable position in the circuitry of your amplifier. Rollen für 412er Lautsprecherbox. Die Schraube hat ein M10 Gewinde. Die Rollen passen an eine Marshall Box wie z. B. JCM 900 oder LEAD 1960 usw. Die Rollen wurden noch nicht montiert und sind deshalb wie neu. PERMUTIAMO IL TUO USATO ANCHE A DISTANZA! Conosciuto per il suo suono magnifico, la versatilità della JCM900 ha raggiunto il cuore di molti fan. TESTATA PER CHITARRA. Caratteristiche principali. For sale is a badass JCM 900 SL-X 2100 100 watt head. This thing is amazing. Sounds like a modified JCM 800 on steroids. Lots of gain on tap. Just serviced, all connections were cleaned and all electronic checked over. Marshall JCM 900 4100 Dual Reverb head. Sounds great. No modifications. Has been serviced, all connections cleaned and electronics checked over. New Sovtek 5881 power tubes. Pre-amp tubes are mixed 12AX7 tubes, found no need to replace them, still quiet and sound great. Here is a beautiful example of the Marshall JCM 900 4500 Dual Reverb Hi-Gain head. This is a 1992 based on the date codes of the components. Serial number Z is either 1991 or 1992 on a Marshall. This one is in super nice shape and has been well maintained. For your consideration is a used Marshall JCM900 1960A cabinet. The industry standard of 4x12 cabinets. No casters. Sounds big and full as a Marshall should! JCM900 4100. A stylish reissue, the JCM900 4100. This amp has two footswitchable channels, one clean and glistening another with grit and distortion. It has two reverb settings for each channel so you can dial in the reverb ready to perform. The JCM900 4100 was the next evolutionary step on from the JCM800 Series. This is a precise re-issue of the JCM900 4100, first launched in the early 1990s. This high gain, dual Reverb, all-valve 100 Watt head is still a players favourite. Amongst the best JCM 900 models ever made! So, in most cases: what you see is what you get. Want to know more about our trade-ins and valuation?. let us know! We will match or even beat any price that you are quoted. 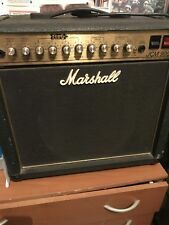 Marshall JCM900 4502 2x12 combo. Missing the cap on the channel select button, and works at it should. Includes a custom-made heavy duty TUKI cover. Marshall JCM900 1936 Lead 150-Watt 2x12 Extension Cabinet. Excellent condition - light use. Speakers are original G12T-75'S. Includes height adjustable feet and black fabric cover. The feet make it easy to stabilize the cab on an uneven surface. The Marshall JCM900 4100 is a player's favourite, an all-valve 100 watt Marshall head is available once again. Known for its great reliability, the JCM900 range has won many fans with its incredible versatility. You are purchasing a complete Vacuum Tube set for the Marshall JMP 100W, JCM 800 100W, or JCM 900 Amplifier. The power amp tubes are matched. You will receive the following: x4 EL-34L Power amp Tubes and x3 12AX7-S preamp tubes. 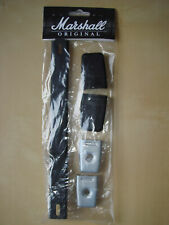 Strap Fixing Centres 230mm--265mm. Real Gold Plated Hardware. Real Gold Plated Hardware. This is a heavy duty vinyl protective cover for a Marshall JCM900 2502 or 4502 2x12 combo guitar amplifier.This is for one cover only. Each cover is made specifically for the amp listed and has properly positioned handle opening(s). Marshall JMP 100W & JCM 800 100W &. JCM 900 100W. Tube set for 100 Watt Marshall Amplifiers. All are JJ Electronics tubes. Includes power and pre-amp tubes only. Rectifier tubes vary by year of model; they also tend to last longer, and do not need to be replaced as frequently. 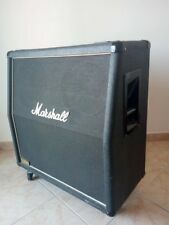 This is a quality heavy duty vinyl protective cover for a Marshall JCM900 1x12 combo guitar amplifier. Each cover is made specifically for the amp listed and has properly positioned handle opening(s). You are purchasing a complete Vacuum Tube set for the Marshall JMP 100W & JCM 800W & JCM 900 Amplifier. Tubes are JJ Brand. The power tubes are Apex Matched - in either a matched quad format or matched pair format. All tubes are BRAND NEW. You will receive the following: EL34L x4 (x1 matched quad) power amp tubes and x3 12AX7 (aka ECC83S) preamp tubes. Logo Marshall JCM 900 LEAD - 1960 Gold plastic 100mm = 3.9". LOT Marshall white color 10 1/2" = 2 and LEAD - 1960 Gold plastic 87mm = 3 3/8" and. we accept files in CorelDRAW. The price is for one piece.